After rumours of Ben Affleck leaving The Batman film and the DCEU as a whole resurfaced, we were once again reminded of the DCEU’s apparent precarious construct. Hell, it led us to hypothesise a Batffleck-less DC film. Now the director of the standalone Batman feature – The Batman – has surfaced to dispell, or at least quell, some of the speculations about the film and Ben Affleck’s place in it, if any. 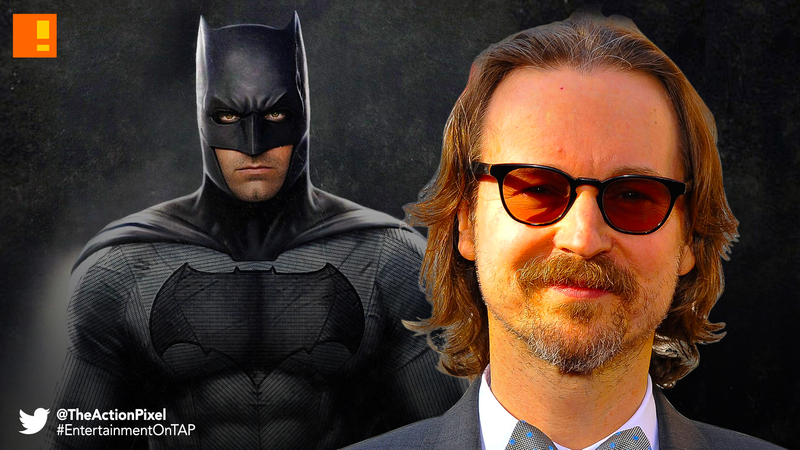 Matt Reeves was on a Television Critics Association panel recently to promote his midseason Fox drama The Passage, in which he took a certain amount of time to address The Batman feature. We are working on getting our draft [in] the next couple weeks. Right now, my head is totally into the script. Right now, I’m going to be leaving here to go back to work on the script. What’s more, this draft could be on the fast track to film early next year “in the spring or early summer”. Furthermore, the nature of the comic film will not be in the vein of the Year One narrative arc, which follows the first year Bruce Wayne takes up the mantle of the Bat in the comic book. This is something that went against our hypothesis somewhat, as we thought if this were to divorce itself from the current DCEU, that Reeves would have at least gone the ways of Joaquin Phoenix‘s The Joker Origin movie. Which ties in to another aspect revealed about The Batman; according to Reeve’s the film will take on a more noir approach. This does ring the bells of hope for us, as I feel the more ‘noir film’ constructs of the Dark Knight in film hasn’t been touched as much in modern interpretations. I’ve talked about making it a very point of view noir-driven definitive Batman story in which he is investigating a particular case and that takes us out into the world of Gotham. I went on a deep dive again revisiting all my favourite comics. Those all inform by osmosis. There’s no continuation of the Nolan films. It’s very much trying to find a way to do this as something that for me is going to be definitively Batman and new and cool. There are ways in which all of this connects to DC, to the DC universe as well. We’re one piece of many pieces so I don’t want to comment on that except to say that I’m focused very specifically on this aspect of the DC world. Reeves’ suggestion as such to keep Affleck on board may involve a flashback narrative that involves casting a younger Bruce Wayne?